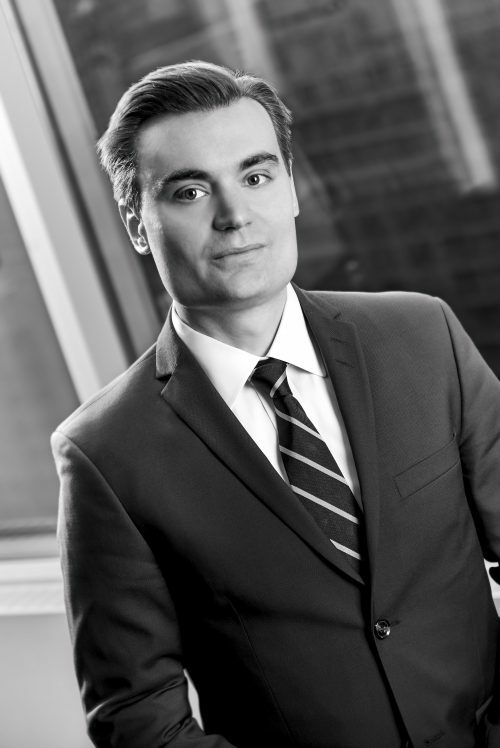 Eric joined Dutton Brock in 2009 following his call to the Ontario Bar and became a partner in 2017. His practice focuses on insurance coverage disputes, defence and subrogation, including product liability, personal injury, professional liability, disability, first-party property and transportation. He completed a Master of Laws on insurance coverage litigation and has published numerous articles and papers in industry and peer-reviewed journals on insurance related topics. He regularly attends the Ontario Superior Court of Justice on interlocutory matters and has appeared as trial counsel in courts and tribunals in Ontario, British Columbia and Alberta. Eric is also a member of the Law Society of Alberta and the Law Society of British Columbia. Eric sits on the Canadian Defence Lawyer’s Insurance Coverage Law committee and has chaired the CDL’s annual insurance coverage symposium. Eric earned a Bachelor of Arts with distinction from the University of Calgary (2003), a Bachelor of Laws from the University of Victoria (2006) and a Master of Laws from the University of British Columbia (2009). Eric served as a student representative on both the University of Victoria Law Students Society and the University of British Columbia Graduate Law Students Society. During law school, Eric was awarded a number of course awards and scholarships, including the Law Foundation Entrance Award, the John McAlpine Prize in Civil Liberties and the Om Radsady Asia-Pacific Studies Award. Xu (Litigation guardian of) v. Mitsui Sumitomo Insurance Co. 2014 ONCA 805, 2014 CarswellOnt 15959 (Ont. C.A.). Machado et. al. v. Winners Merchants Inc. et. al. 2013 CarswellOnt 5823;  O.J. No. 2223. Eric lived and worked as an intern in 2007 in a small farming community in Baja Verapaz, Guatemala with La Asociación Bufete Jurídico Popular compiling Spanish language legal and historical materials for submission to the Inter-American Human Rights Commission. During law school, Eric was extensively involved in college radio, programming and hosting live weekly radio broadcasts to the Greater Victoria region. Eric has also participated as a volunteer judge in the annual OBA Secondary School Mock Trial Tournament.